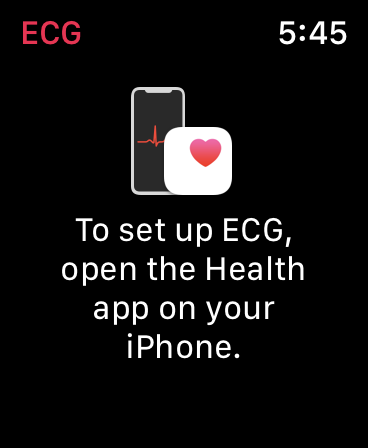 In order to use the ECG app, you must be running both iOS 12.1.1 and watchOS 5.1.2. This cannot be the beta version, but the release version. iOS 12.1.1 and watchOS 5.1.2 are available now.